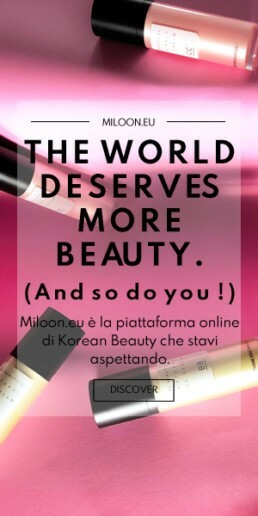 No need to be a make-up-beast to have heard of BB and CC cream. It’s not a secret that BB and CC cream makes skin looking natural and flawless. Both of them provide coverage and make it looking healthy. Indeed they are not quite the same: they provide different results and benefits. They both should be a staple in everyone’s K-beauty kit. But how can we find out which one is the right option for you and how and why using’em accordingly? Keep reading to find out. 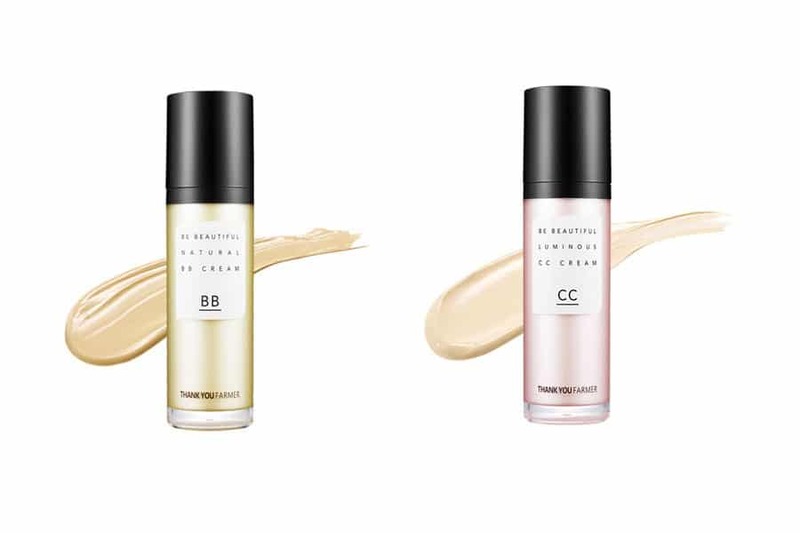 So, What’s the difference between BB and CC cream? 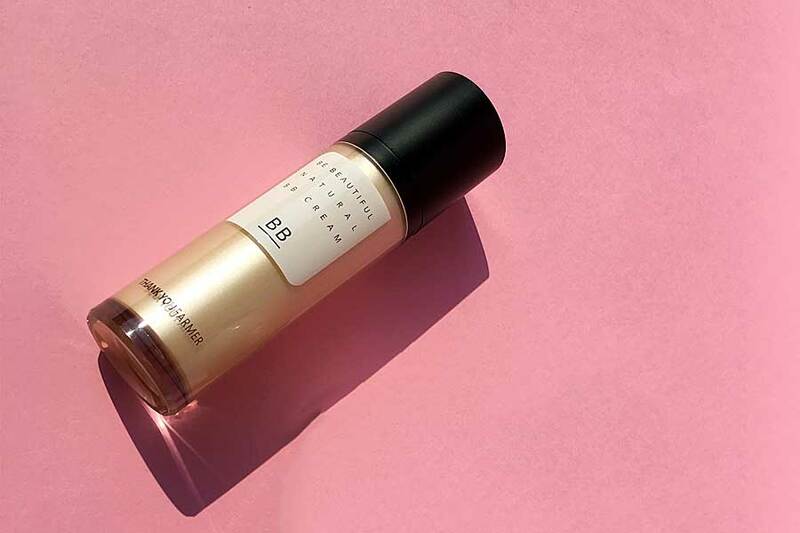 BB stands for “Beauty/Blemish” and “Balm”. It is light foundation with a creamy texture, like a tinted moisturizer. 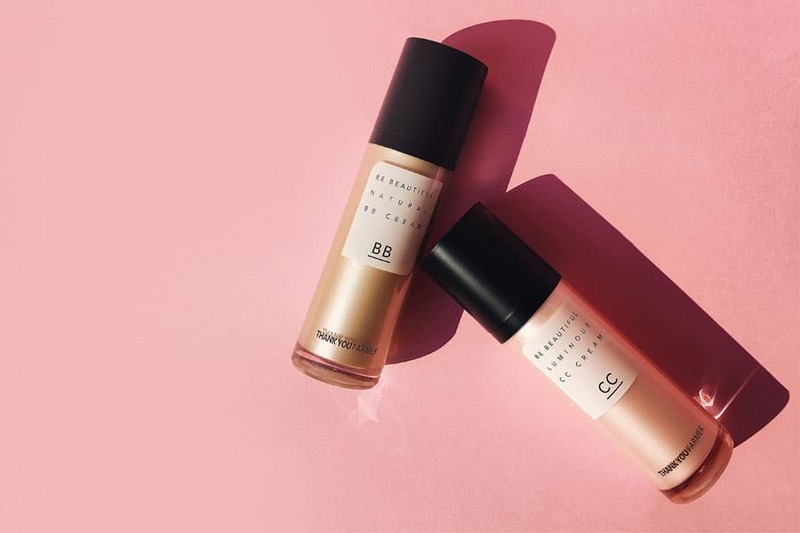 BB cream is a makeup formulated with skin care benefits. These benefits range from sun protection to hydration and shine control. Most BB creams contains SPF to protect the skin from harmful UV rays. They offer a sheerer and inferior amount of coverage than regular CC cream, without the downside of the heavyweight. BB Creams are also different from Foundations. In fact, the purpose of Foundation is to provide a full coverage. Yet, BB cream is a “skin-first“ product. It is synonymous extra hydration, illumination and a general enhanced care. Thank You Farmer “Be Beautiful Natural BB Cream”. Thank You Farmer “Be Beautiful Natural” is a BB Cream that provides a natural coverage. It is a powerful blemish concealer. It works perfectly on acne, age spots and freckles. This BB Cream provides a spotless silky-smooth skin texture without the usual heaviness. Thank You Farmer “Be Beautiful Natural BB Cream” is a miracle worker on uneven skin tone thanks to the Velvet Smoothing Technology. This innovation is conceived to totally cover imperfections. When applied, it expresses a smooth and tight skin texture. It cuts off moisture and allows air to permeate for superior softness and moistness. Velvet smoothing allows minimizing the pore jamming and darkening phenomenon. Be Beautiful Natural BB Cream comes in a creamy texture leaves the skin fresh and matte. It contains Ball Bearing Slice Powder that gives a thing and transparent glow. This BB Cream is perfect to cover and balance the skin tone. It is suitable for all skin types suffering from such conditions like acne scars or blemishes. If you would like to have a look for another option of BB Cream, have a look at out previous BB Cream post. – Missha “M Perfect Cover BB Cream”. CC stands for “Color Correction”. Instead of relying on a separate color corrector, you can take care of correcting and covering all at once. 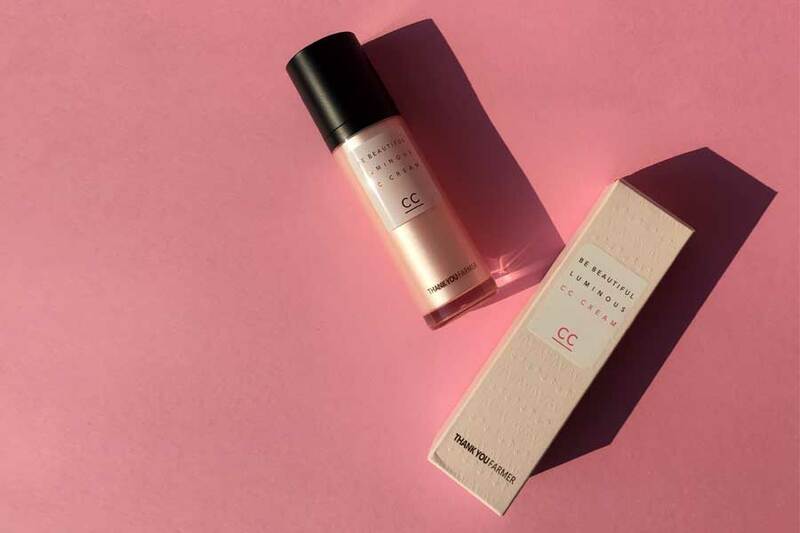 While CC Cream offer a lighter consistency than a BB Cream, it provides a larger coverage. Moreover, it targets redness, dullness and acts where the skin tone is less balanced. Most of CC Creams have all the benefits of BB Creams. Yet, unlike BB Creams, CCs are often formulated for those seeking for anti-aging effect, with extra coverage benefit. They are rich in Vitamins and employ specific ingredients to prevent fine lines and wrinkles. If you have redness, acne or dark spots, CC cream might be the right choice for you. Thank you Farmer “Be Beautiful Luminous CC Cream”. Thank you Farmer “Be Beautiful Luminous CC Cream” is a radiance-filled CC Cream that enhances brilliance and brightness. This is perfect to achieve the correct the uneven tone making complexion vivid. It will soothe irritations, leaving you with a truly glowing skin. Luminous CC cream is enriched by a light micro pearl content. These pearl beads reflect light in order to achieve a lively tone. It also contains Vitamin E for a young and glossy effect. Thank you Farmer “Be Beautiful Luminous CC Cream” provides a firming & luster effect aimed at emphasizing contour. The specific formulation requires no need of patting-on as hard as other CC Creams. Its smooth texture minimize the caking effect is minimized. It is suitable for all types of skin, especially dull skin that might use more radiance and vitality. Both BB and CC Cream from Thank You Farmer provide a strong skincare coverage. Their high-quality skin protection allows an higher level of moisture and skin breathability. Both give whitening, wrinkle-protection and a solid SPF30 UV protection. The “Be Beautiful Series” sits on the common ground of skincare and makeup. It’s the key for a clear and radiant skin and a natural make-up look. It will enhance your natural beauty, letting your self confidence sky-rocket.